Bicycling is on the decline in India’s largest city; perhaps as few as 0.8 percent of a population of 12 million bicycles, according to one estimate, down from an already-low 6 percent measured in 2008. In a new op-ed for The Hindu, WRI’s Amit Bhatt writes the decline is indicative of a development agenda too focused on motorized transport. Cycling has “socio-economic baggage” in India, Bhatt writes, seen as a mark of being lower class. But experience around the world – in Europe especially, but even in the car-centric United States and elsewhere – is showing that efforts to make city transport more bicycle-friendly pay dividends for pedestrian safety and the welfare of all citizens. Mumbai has tried improving bicycle infrastructure in the past but attempts were “feeble, unplanned and not thought through,” writes Bhatt. There was the Bombay-Kurla Complex, a ₹6.5-crore (about $1 million), 13-kilometer bicycle lane inaugurated in 2011. It was dismantled just four years later, after lack of maintenance and proper protection, and cars began to use it as a parking lane. It became a bus lane before that too was declared a failure and dismantled in 2016. Prime examples of this short-sightedness: the ₹1,600-odd crore Bandra-Worli Sea Link, which opened in 2010, and has an average daily traffic of around 37,500 vehicles, and the ₹1,436 crore Eastern Freeway with 23,000 vehicles. These projects are of no value to more than half of the city’s commuting population. They do not even permit motorized two-wheelers, let alone cyclists or pedestrians. While buses are allowed on these flyovers/roads, they can’t use them as bus stops are at the lower level. 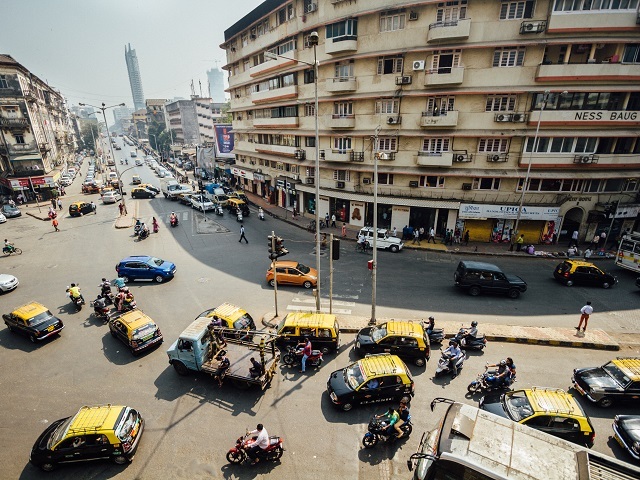 Projects aimed at smoother commutes for car-users seem to be the trend in Mumbai. Take the ₹15,000-crore Coastal Road or the ₹7,502-crore Versova-Bandra Sea Link. Developing a plan for cycling is an afterthought, it would seem. For example, the Comprehensive Mobility Plan for Mumbai estimates an investment of ₹1.67 lakh crore. Of that, ₹178 crore is for developing cycling tracks, just a fraction over 1 percent. What can be done? Bhatt encourages readers to write to their elected officials and city administrators, talk with their friends and family about the implications of transport policy on the well-being of all Mumbaikars, and perhaps become a Mumbiker yourself. Read the full article on The Hindu for more.